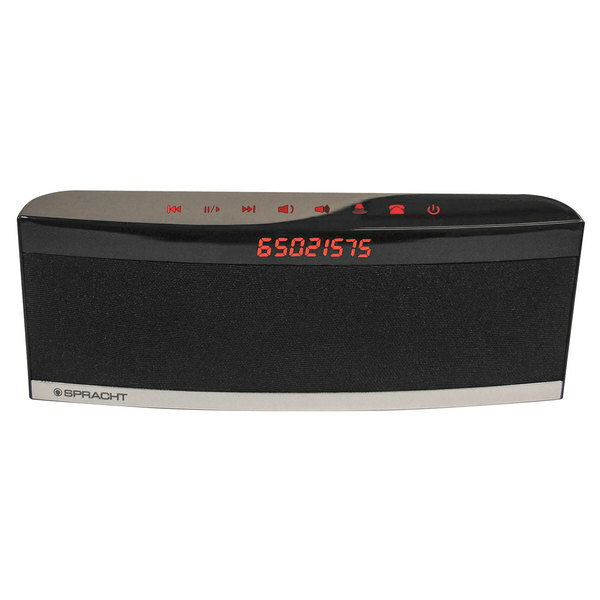 Whether you're making a business call or listening to your favorite music, this Spracht WS4012 BluNote Pro black Bluetooth wireless speaker will provide you with high-quality sound in any location! 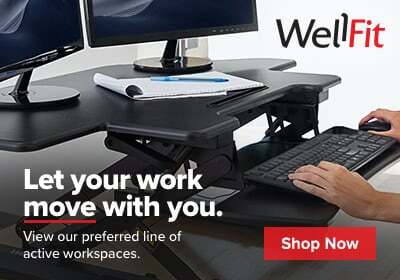 Its wireless technology allows it to connect to any Bluetooth enabled device, so you can play audio from your smartphone, tablet, or computer at a range of up to 33'. For wired connections, this speaker also has an auxiliary input jack. This product features two high-quality speakers with a combined 5W of power that can fill any room with full-frequency sound, so phone conversations sound natural and lifelike and music sounds full and rich. Plus, the built-in microphone features echo- and noise-cancellation, so your important calls won't be interrupted by bothersome background noise! Answering your calls from this Bluetooth speaker couldn't be easier! When a call comes in, simply touch the speaker's phone icon, and if you are listening to music, the speaker will pause it while your call is in progress. To hang up, simply touch the phone icon again and any music you were playing will resume. Plus, this speaker's rechargeable, extra-capacity lithium-ion battery will give you hours of uninterrupted talk or play! This small-but-mighty speaker gives you concert hall sound quality with a compact profile. Its small size allows you to easily slip it into a suitcase, backpack, or briefcase so you can use it on the go! This speaker is a perfect choice for managing your calls and enjoying your music on one convenient device.